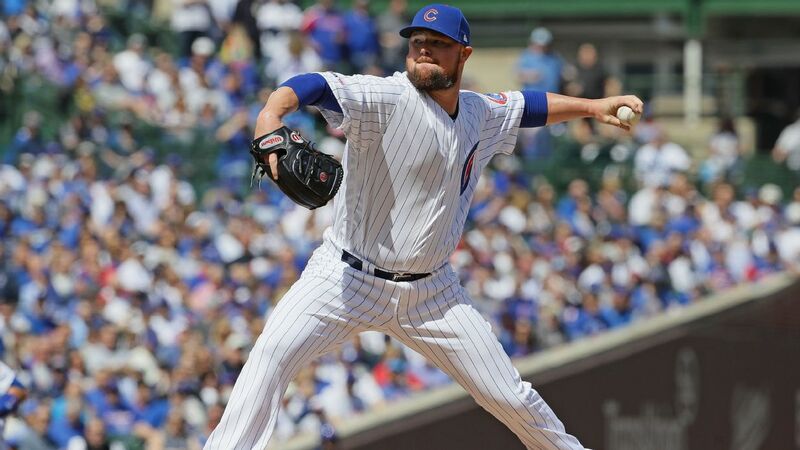 CHICAGO -- Cubs ace Jon Lester was placed on the 10-day injured list because of a left hamstring injury suffered in Monday's home opener against the Pirates. Appearing on 670 The Score radio Tuesday, Cubs manager Joe Maddon said that Lester will miss one or two starts but didn't confirm a trip to the IL. On Wednesday Maddon said that Tyler Chatwood would start Sunday in Lester's spot. "We could avoid using that spot just based on off-days," Maddon said. "And if we get some rainouts in there, which we don't want, but if it were to happen other things can happen too." The Cubs called up lefty Tim Collins Wednesday to take Lester's place on the roster. Collins, who appeared in 38 games for the Nationals last season after returning from back-to-back Tommy John surgeries, was signed very late in the spring by the Cubs. Lester left the game in the third inning of Monday's 10-0 victory. "I didn't feel anything as far as a pop or anything like that," Lester said after the game. "Kind of more along the cramping sensation. We'll find out more [Tuesday]."